Guide4WDW.com: The Main Street Light Bulb You Never Knew Had A Story! The Main Street Light Bulb You Never Knew Had A Story! 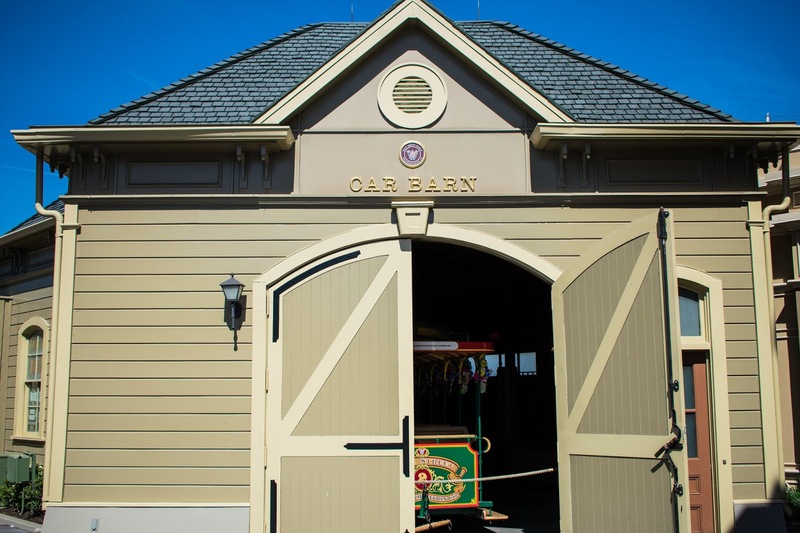 Have you ever been inside the Car Barn on Main Street U.S.A at the Magic Kingdom? If not, be sure to add it to your list for the next time you are in the park. 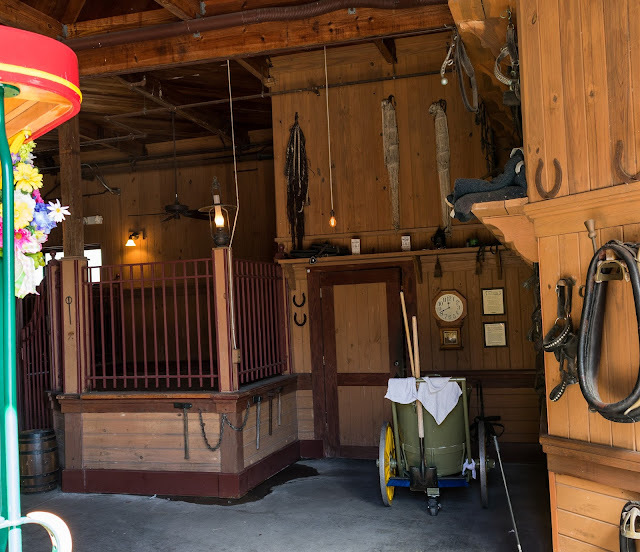 The barn is full of little Disney details that you can peer through the big barn doors at and it truly feels like you're getting a look "behind the curtain" at something uniquely Disney. Fortunately, there's more to this story than you may expect. If you get the chance to peer into the Car Barn, be sure to catch a glimpse of a small light bulb hanging from a single wire on your right just inside the barn near the far wall (pictured in the center of the picture above) While that light bulb is quite small and seems to serve very little purpose for lighting the room, it holds quite the interesting backstory and is a level of incorporated detail that only Disney would include. As you may know, the lights of Main Street tell a story all on their own. As you progress through the time periods each section of the street represents, the light fixtures vary in order to fit the era represented. When you really take the time to notice it, there is everything from authentic gas lamps to electric lights as you move farther and farther throughout the eras of production. With that being said, there's only one true representation of the original electric lightbulb. As you may have guessed, this is where the story starts to come back around full circle! 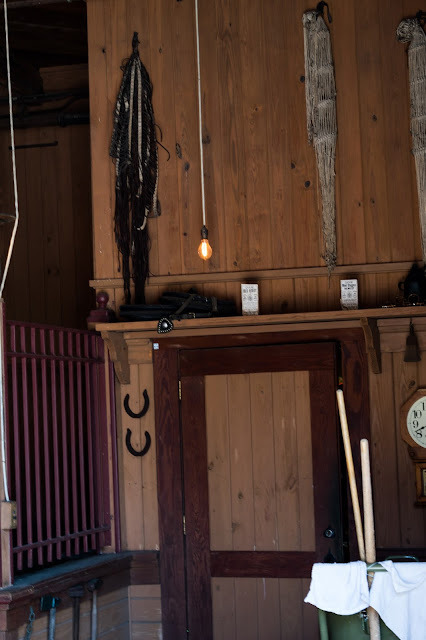 The lightbulb we originally mentioned hanging on the wire all by itself is a contracted piece specifically for the purpose of authenticity. The bulb itself is created by one particular individual in the northern United States using only the materials Thomas Edison had available when the original lightbulb was created. I can only imagine how delicate that creative process is and has been for many years. How Do You Catch a Glimpse of It? To be quite honest, there are really no guaranteed times when this little light bulb will be viewable. To catch a quick glimpse, I recommend heading towards the car barn in the early afternoon. During parade times, the door will be closed and from my experience the same tends to remain true in the early hours of the day. Part of catching this hidden detail is getting a little bit lucky and finding a few brief moments when the door is ever so slightly opened so guests can peer into the room. Honestly, this is a very small detail of the parks, but something Disney truly did not have to add. However, I'm amazed and happy that they do in fact continue the tradition. It's these little details that truly create the "Disney difference." No other organization would put so much effort into a single light bulb in a place that many guests will never even see in order to make the experience as realistic as possible. This is amazing in my own personal opinion and one of those little details that you may have never experienced, but one that you surely should appreciate on your next vacation! It's not a grand spectacle, a overwhelming beautiful detail, or a must do for every single guest, but simply something that goes to show the pride Disney has had and continues to have in their parks. If you enjoyed the article, please be sure to share this little detail of Walt Disney World with friends! How Do I Create These Posts? Every once in a while I get questions about my gear. This is what I use and highly recommend at the moment in the realm of content creation. This list is varied and tends to change from time to time, but this is my current set up of gear used to create these posts. If you have any questions or need some tips in the site building process, feel free to message me on Facebook! Let our friends over at Destinations to Travel (FREE - no obligation quote request form below) help you out at no additional cost to you! Here's a closer look at why I recommend an Authorized Disney Travel Planner!